Artisan Socks Gift Vouchers! Yay! Did you get a Artisan Socks Gift Voucher? YAY!! Find out how you can redeem it here. Have a Gift Voucher emailed directly! Choose any amount, from $20.00 up. It's fast, secure, and sure to please anyone. You can print and give the voucher in person too! 2. Click "add to cart"
4. An email Gift Voucher will be sent immediately to the recipient with your gift message! Be careful to get the email address correct! Also, some spam filters eat the email. 5. You can view and print the Gift Voucher details and will receive an email confirmation of your purchase. ♥♥ Print and roll up the voucher and tie it with a pretty ribbon. 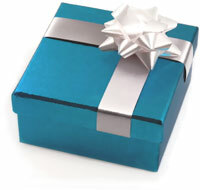 ♥♥ Put the voucher into a box along with a picture of an item they might like. Just print the page from our website!! ♥♥ Fold and tuck the voucher into a nice card or envelope. Then give it to your honey / sister / friend / mom / sock freak with a hug!